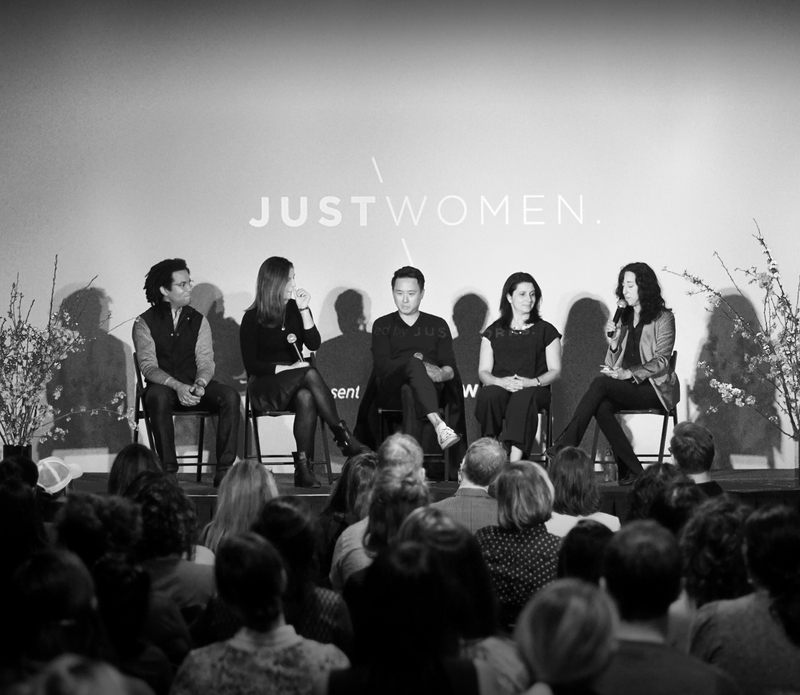 Having a panel made up of both men and women at the latest Justwomen event was a bold update. Would the move alienate, or foster a change dialogue? Discover key takeaways from the event. At the latest Justwomen panel, held March 29th at Town Stages in New York City, the team behind the event did something they’d never done before: invited men. The goal behind this update? To foster inclusion and create a conversation around change and forward movement. In a recent interview with Inc., Sales Manager and Justwomen founder Valerie Avila, expanded on the need for an inclusive dialogue. "If we're only telling women that we need more equity and that we need more women in leadership positions, we're talking to a group of people that are agreeing and yet are not always in a position to pave the way for change,” Valerie said. The event featured four panelists from the world of venture capital, with a conversation that focused heavily on the current model of diversity and inclusion in investing. Having a panel made up of both men and women proved to be beneficial, creating an honest and engaging conversation for the audience. Some panelists, including Ben Sun from Primary Venture Partners, spoke about the challenges of inclusion in venture capital — namely that so much is built on referral networks. We’ve got to build stronger networks of women in tech. Beth Ferreira of FirstMark Capital also touched on these challenges, and how some businesses are becoming conscious of their shortcomings in terms of women and minorities. It’s clear that regardless of gender, people within venture capital recognize the problems they face. Awareness is one thing, but what about action? For many, including Peter Boyce II of General Catalyst, action starts small. He experienced this firsthand when he simply invited a woman on his team to a board meeting. A small gesture for him had a huge impact on her. Men taking those actionable steps to create change for and alongside women in the industry was a big takeaway from the panel. For Soraya Darabi of Trail Mix Ventures, this message mirrored her own journey into venture capital. Soraya also pointed out that in venture capital in 2017, only 2% of dollars went to female founders. Bias exists, and it’s going to take men and women working together to find solutions. In venture capital in 2017, only 2% of dollars went to female founders. In venture capital, investing, and beyond, change is taking shape. These Justwomen events are one part of the conversation, and asking men to join the dialogue is a step that proved worth taking. Want to get involved? Sign up for the next Justwomen event here.